Ms. Carol Anklan, Elementary School Teacher, completed another Bike-Dreams adventure, her fourth in the past three years. She rode from Bilbao to Granada along the western part of Spain and Portugal, covering more than 2400 kilometers and 37 kilometers of elevation gain in 24 riding days. 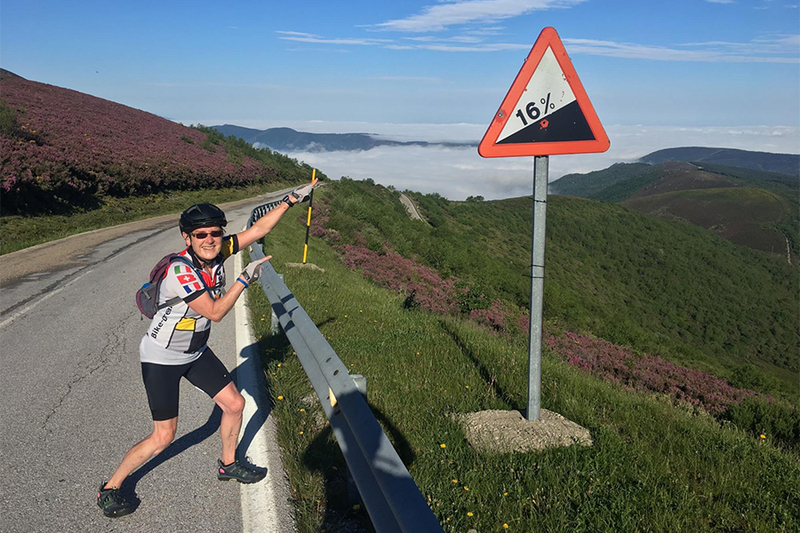 Ms. Anklan reports that one of the most memorable days was riding from Granada to Pico del Veleta, the top of the Sierra Nevada mountains and the highest paved road in Europe. Click here for an engaging look at what this grueling 50-km climb up 3,300 meters entailed. In addition, the owners of Radiantly Alive Yoga Studio heard Ms. Bernasconi talking about the TASIS Global Service Program and were so touched by what the School does that they decided to give her $1000 to organize a Yoga Marathon—hopefully hosted at TASIS—in order to raise more money for underprivileged children in Zambia. “TASIS awards me a summer grant, and I receive the same amount to give to Zambia: how awesome is this?” said Ms. Bernasconi. Ms. Theresa Cullen Hill, Elementary School Head, and her son Thomas were part of a Transatlantic Adventure Council Scout Troop (Boy Scouts of America for girls and boys over 14 years of age). 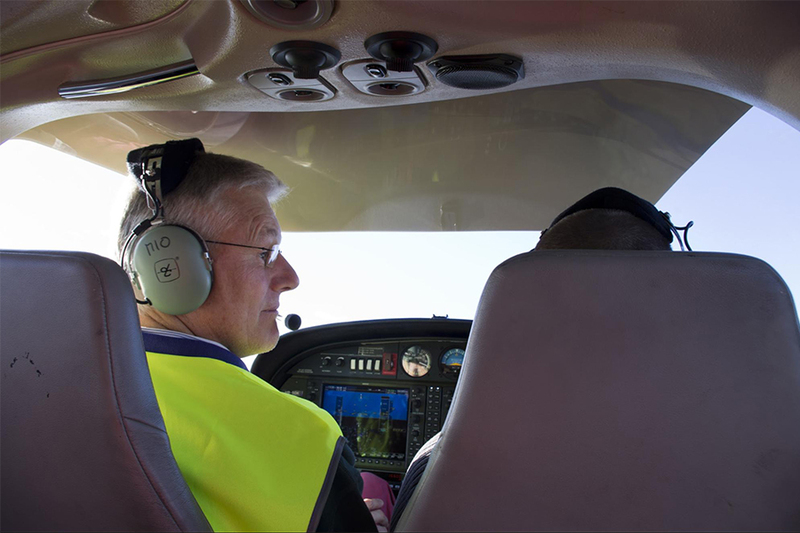 The group, led by an American scoutmaster based in Germany and six additional adventure scouts living in Germany, Russia, and the US, met for the first time at the Denver International Airport and set out on a two-week adventure. 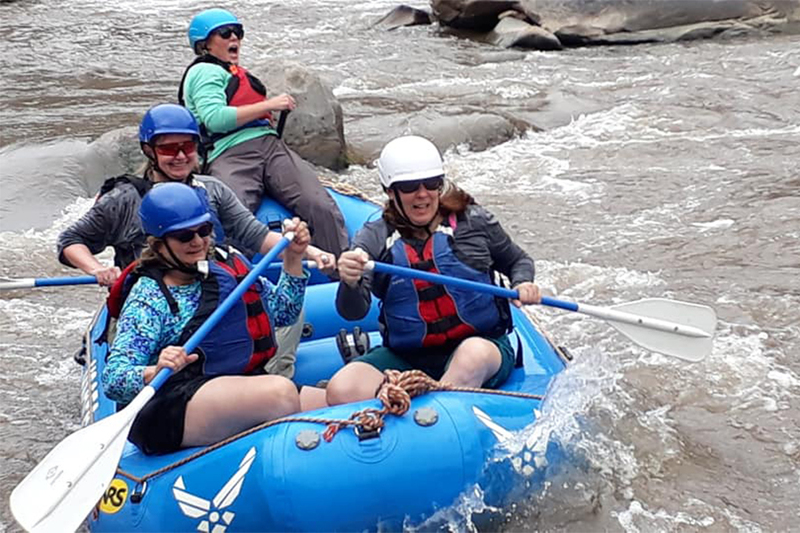 The first night was spent camping at the US Air Force Academy in Colorado Springs, and the group then went whitewater rafting on the Arkansas River, spent a night in a Native American museum, and eventually made its way into New Mexico. The trip was originally intended to be a two-week trek on the Philmont Scout Ranch in Philmont, New Mexico, but due to raging forest fires in the area, the ranch had to close its summer programs. The group changed its course and trekked 80 kilometers over five days, including an ascent of Pike's Peak, the highest summit of the Front Range—the easternmost section of the Southern Rocky Mountains. 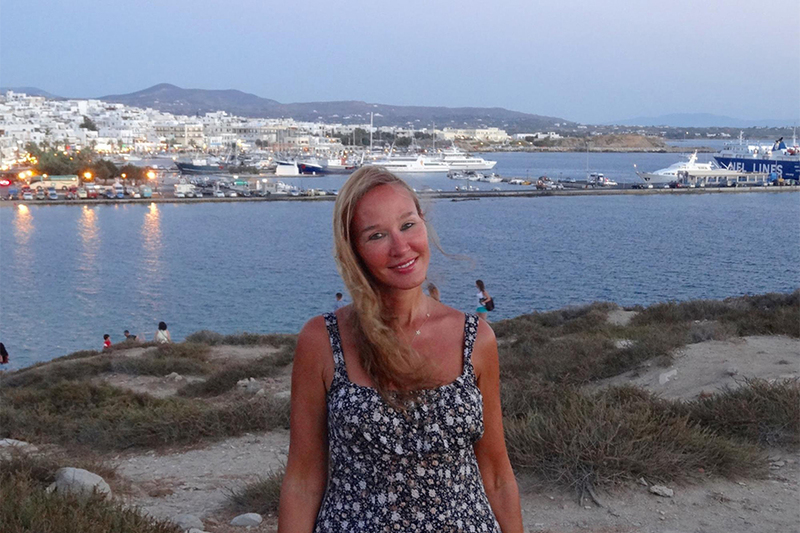 Ms. Carolyn Heard, High School and Middle School English as an Additional Language Chair, spent her fifth summer on the Greek island of Syros taking intensive courses in Modern Greek. 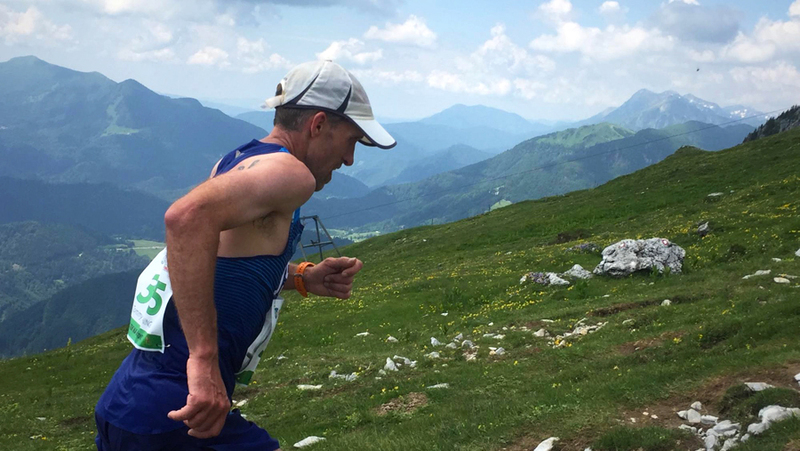 Mr. Tommy Manning, High School Math Teacher, finished in first place in the age 40–44 group at the World Masters Mountain Running Championships in Zelezniki, Slovenia, on June 2. See this article to learn more about Mr. Manning's impressive accomplishments of Mr. Manning and read about other recent successes from members of the ever-growing TASIS running community. 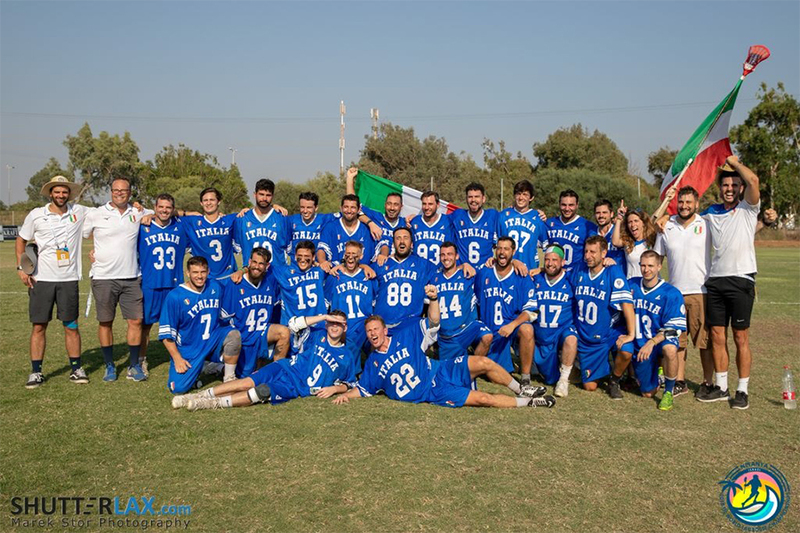 Mr. KC McKee, High School Dean of Students, was the head coach of the Italian National Lacrosse Team at the 2018 FIL Men’s World Lacrosse Championship in Netanya, Israel. The team trained for more than a year to prepare for the tournament, which is held every four years in a different location around the world. Forty-eight teams competed in Israel, and Coach McKee led the Italians to their best finish to date: 16th place. If not for a heartbreaking triple-overtime loss to the Philippines, the upstart team would have even cracked the top 10! Ms. Helen Roowalla, Assistant Director of Admissions and Agent Coordinator, continued her artistic career under the alias hERO and this summer worked on new pieces to complete a collection that will be turned into a catalog of her work from 2015 to the present. 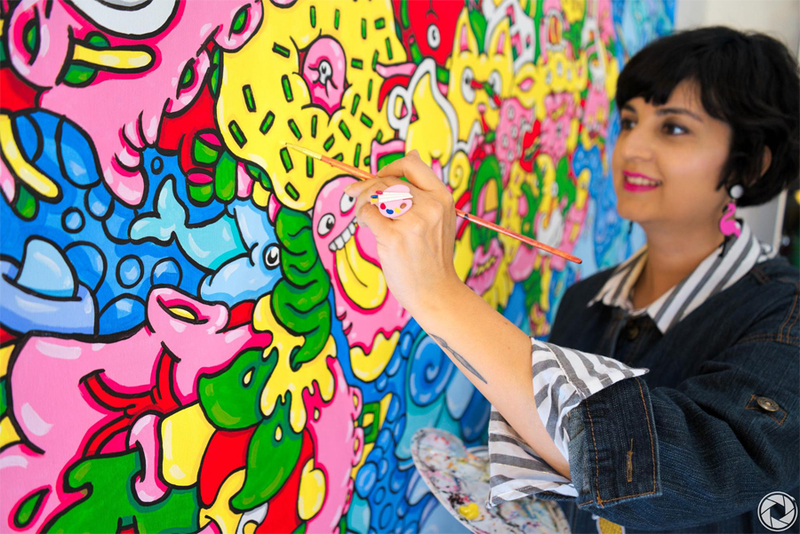 An exhibit in Lugano will accompany the release of the catalog this fall, and Ms. Roowalla is also preparing artwork for an international solo exhibit in Vienna, Austria, early next year. Zuleika Tipismana, Alumni and Development Officer, went on her first Global Service Program trip to Romania in June. After four years of leading a local Service Learning group called Intergenerations, she was grateful to have the opportunity to see the workings of a global group and learned a great deal about the Romanian culture. Ms. Tipismana also continues to write for her blog, Z-Travel, and was sent on her first "mission" when the marketing staff of Monte Generoso invited her up to report on the mountain’s accessibility features. She went in July for her birthday and was lavished with great service, food, and breathtaking views of Monte Generoso. In August, Ms. Tipismana was featured in the Cooperazione paper. She discussed the inspiring journey she's been on since her accident 15 years ago. Ms. Kat Walser, Yoga Teacher, completed her 500-hour training in Santa Cruz, California, with world-renowned “yoga teacher's teacher” Mark Stephens, author of the seminal books Teaching Yoga and Yoga Therapy. She also spent time researching various yoga studios and styles from Los Angeles to Lake Tahoe, California, as well as on the island of Oahu, Hawaii. Ms. Walser is applying what she learned this summer to her TASIS faculty, parent, High School, and Elementary School yoga classes and to the vinyasa, hatha, and aerial yoga classes she offers in her home studio in Montagnola and around Lugano. Mr. Eric White, High School Economics and History Teacher, got the band back together on the night of July 27 in Milwaukee, Wisconsin. Traveling with his wife, Meredith, and his white Rickenbacker guitar back in time to the 1990s, Eric returned to his former home and rejoined his bandmates Matt, Don, and Jeff for a one-off 20th-anniversary reunion show of the Milwaukee band Heathrow (yes, like the airport). Describing the band’s sound as “wannabe Britpop,” Heathrow joined other “alternative” bands from the Milwaukee music scene of the 90s for this night’s trip down memory lane. Anyone interested can listen to the band on Spotify under the artist “Heathrow,” and Heathrow’s songs and albums are still available to stream on iTunes too. Mr. White recommends “Walk Those Shoes,” “Hear in my Head,” “Heathrow,” and “Just Like You” as good songs to start with.